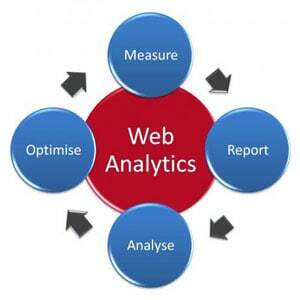 Blueocean Market Intelligence is a global analytics and insights provider. For its retail customers, the company wanted to deliver the right analytics solution in order to provide retailers comprehensive, timely, and actionable intelligence. Considering that a majority of retailers generate their highest profits during key seasonal and time-bound shopping events such as Black Friday, Christmas, and back-to-school, there was a need of an analytics solution that could deliver comprehensive insights to drive increased footfall, site traffic, conversions, and customer acquisitions during these critical selling seasons. As Blueocean had been using Tableau 7 in a few of its IP solutions, it decided to use the software as a base for its new event-based retail intelligence solution for providing retail intelligence on demand. “Tableau was a well fit to serve our needs and fulfil the objectives we had in mind,” says Merchant. Further, it selected Corporate Renaissance Group (CRG) as a partner to help deploy the tool and upgraded to a newer version, Tableau 8.1. With Tableau, Blueocean has gained a disciplinary approach and a platform for data integration to generate impactful outputs. Tableau synthesizes data from multiple formats such as transactional, research, social media and other behavioral data sources such as SAP databases, Adobe digital analytics, Facebook, Twitter, YouTube, other social media channels, CRM and ERP systems, etc. Blueocean can now empower its clients with well-grounded triangulated view of data that was earlier residing in silos across the organization. It is able to provide retailers/eTailers actionable insights such as competitive intelligence, shopper attitudes, perceptions and behaviors, path-to-purchase digital and in-store drivers, digital engagement and revenue optimization, messaging refinement, integrated media campaign effectiveness, etc. The company was also able to drastically reduce the time-to-market for the ‘Retail Intelligence on Demand’ solution. In a week, the company was able to create a prototype and go live as compared to working on a traditional platform which would have taken almost eight weeks of effort. “For one of our customers, the ability to get real-time intelligence during this critical season has enabled them to save cost by 30% and have 1.5x impact on revenues. With Tableau we were able to drastically reduce this time to market the solution. In a week we were able to create that prototype and get it rolling as compared to a traditional way of sourcing a platform would take anywhere up to eight weeks. The client adoption has been pretty great on that front as we were able to comprehend the business use case much better,” informs Merchant. The solution received great traction from customers for its ability to provide timely and accurate data that allowed customers to evaluate and respond to competitive tactics and consumer behavior. Tableau provided the ability to disseminate intelligence across the organization, enable data democratization, and ease of deployment and scale. Blueocean Market Intelligence Strengthens its Data Analytics and Visualization Strategy for Retailers 0 out of 5 based on 0 ratings. 0 user reviews.